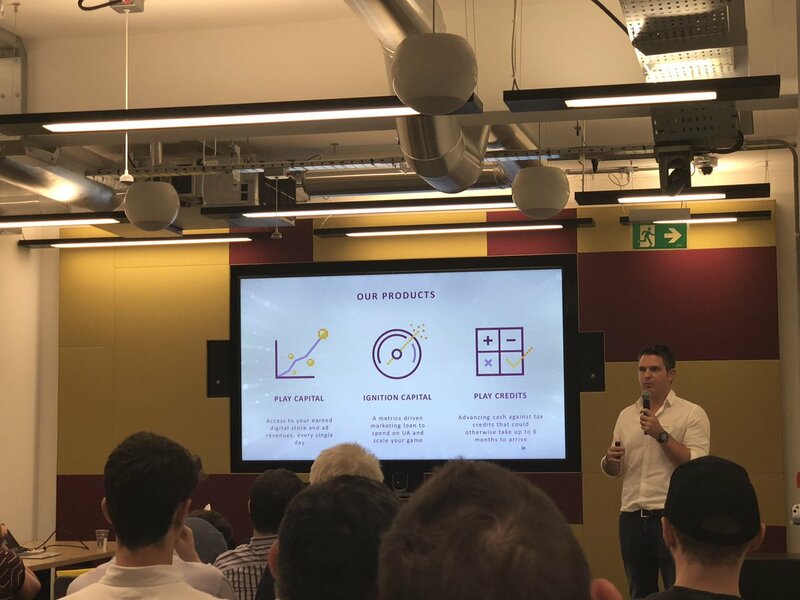 Last night we held a really successful event with SNAP at their offices in Soho. Partnering with them over the past year has been exciting, and it was great to bring some great studios together in one place to showcase what we both have to offer. We also had our friends from Appsflyer presenting, and the brilliant Fusebox, discussing what works on UA, and how they are approaching things with their unique LOVE ISLAND game. Standouts for us were the talks, the “swag” (which my kids LOVED!) and the interaction with Nathalie from FUSEBOX, as people dug deeper in to their experiences. Below are a few main takeaways and things we learnt from the talks. Sam from SNAP opened up, by wishing SNAP a Happy 7th Birthday (where was the cake? ), and then taking us through a whistle stop tour of SNAP’s unique offering. With DAUs of 188m globally, and 12m in the UK alone, I’m always surprised to hear that 45% of them are over the age of 25. On top of that, people are spending over 30 minutes a day on SNAP, and this is spread over 25 sessions in any given day. The single biggest reason, above all else, to test the SNAP channels if you aren’t already, is that 27% of the SNAP audience aren’t being touched at all by other social media platforms. We then followed that with a talk about PlayIgnite and how we are hoping to help game developers grow. With our financing solutions ranging from cash flow bridges all the way up to marketing money; we hope we have a big part to play in the future growth of the industry. Ignition Capital is our flagship product, which provides you with money for your marketing, once your metrics and ROAS is in the right place (check out our ROI calculator on our website to play around with your LTV through our lens). With Play Credits we can advance you your VGTR refunds early, and with Play Capital we can get you access to your store revenues immediately too. A statistic we love to show, is that if we financed your store revenues, and gave them to you right now, which you recycle all back in to UA, your revenues would be 28% higher after 30 days. That’s quite a material difference to your business. Appsflyer then took the stage and pointed out some things that I think surprised the audience. With 8,000 gaming clients and 1 trillion mobile transaction measured a month, they know what they’re talking about! First up they showed the average retention curve for US games in Q3 this year. A d1 retention of 38% fell to 13% d7 and 5% d30; those last 2 numbers looked low and its interesting when you compare it to what most perceive as the industry benchmark of 40%, 20%, 10%. At the same time, although they are seeing CPIs up 25% in Q3 versus Q1, the ARPU is also up 30% to $1.71, which is thankfully the right way round. Their well-known Performance Index is out again, now in its 7th edition, and is well worth a read. It lays out which platforms get you the best UA results, and it’s worth noting SNAP now comes top in terms of ROI for casual games. Given our laser focus on ROI, or ROAS as some look at it, this is the most important measure to us. Nathalie from FUSEBOX, who looks after marketing for this new, innovative and fast growing studio, then talked to us about their experiences. Riding the Love Island summer wave, the game shot to the top of the charts in the UK, and they’re hoping to do the same as the programme launches in other countries, as do their new X Factor and Baywatch games too. Although admitting to being sceptical about SNAP as a UA channel, the results were excellent. Unbelievably, they achieved a 16c CPI on SNAP in the UK, with a ROI of over 1000%. For them, investing heavily in the creative assets, really paid off; this was their one tip to all studios out there to do the same. Then came questions, pizza, beer, more swag, and lots of good chats. We hope all our events go this well, and we thank all the great studios for coming along.